The capital of Ireland is such a pretty, vibrant, welcoming and photo-friendly city. 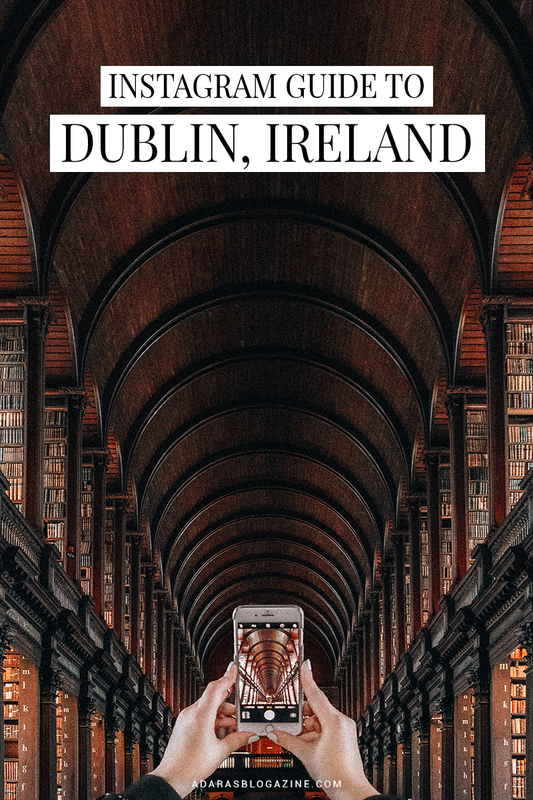 Here you will find the most magical library in the world, colorful Insta-doors, a real-life Bambi park, the iconic Temple Bar and many beautiful bridges – just next to lush green hills and the blue and wild Irish Sea. HELLO, BUCKET LIST VIEW! 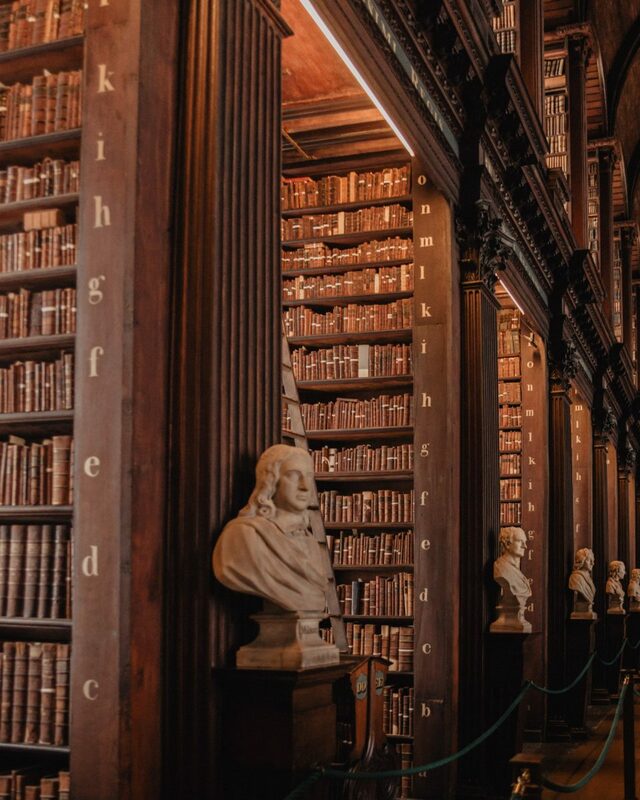 The 18th-century Old Library at Trinity College in Dublin is often listed as the most beautiful library in the world. With just a glance, it’s easy to understand why. The Long Room’s floor-to-ceiling oak bookcases are filled with 200 000 of the Library’s oldest books. It’s simply magical. It looks like something straight out of a Harry Potter movie. The Old Library is part of the Books of Kells Exhibition at Trinity College. The only downside to this historical place is that it’s really crowded. We were there when it opened and, even then, there was a long line of tourists outside, from all around the world. The crowds make it tricky to take an epic Instagram photo (unless you crop out all the people). Just to give you an idea, I posted an uncropped photo above so you can see how busy this library can be even in the morning. 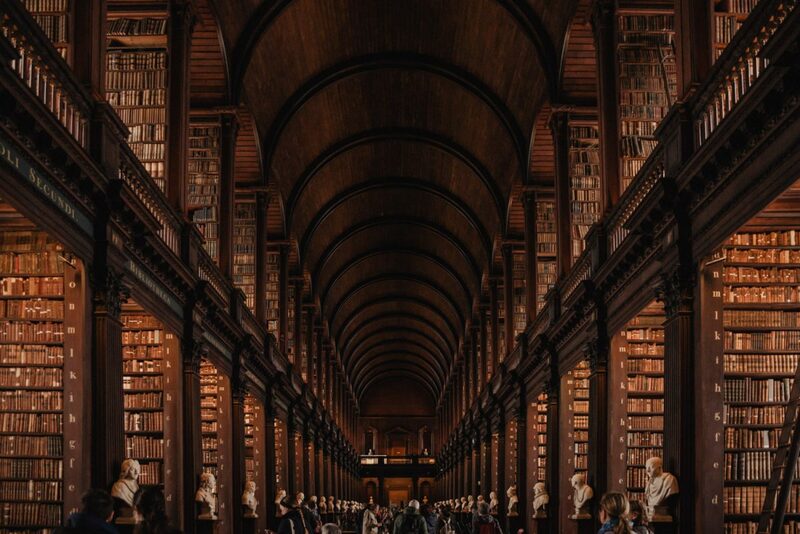 Another beautiful library worth mentioning in Dublin is Marsh’s Library. 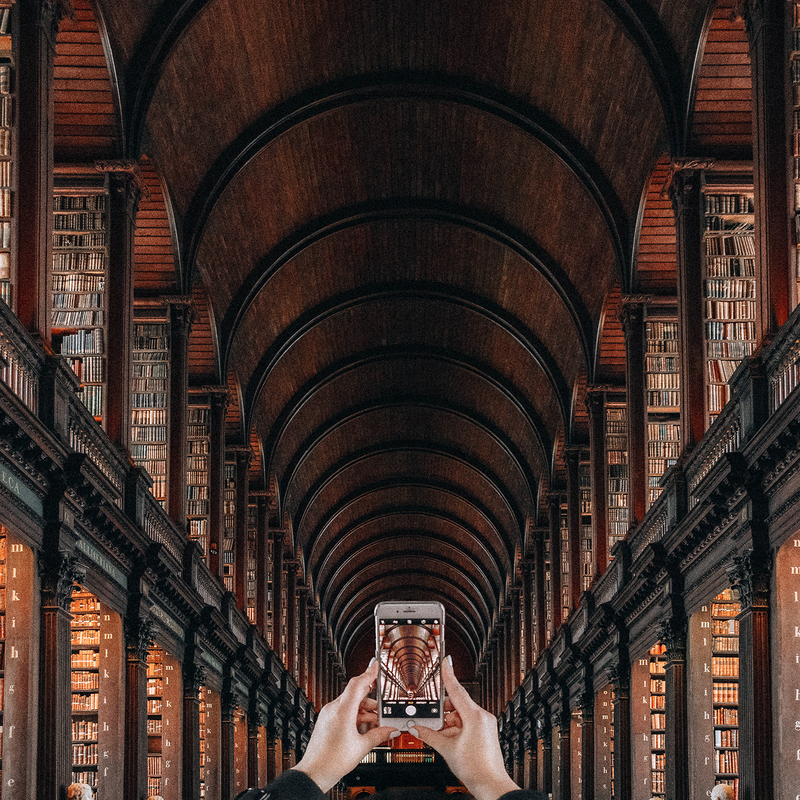 It’s not as breathtaking as Trinity College’s Old Library. But it’s an unspoiled and less-crowded gem right in the heart of the city. 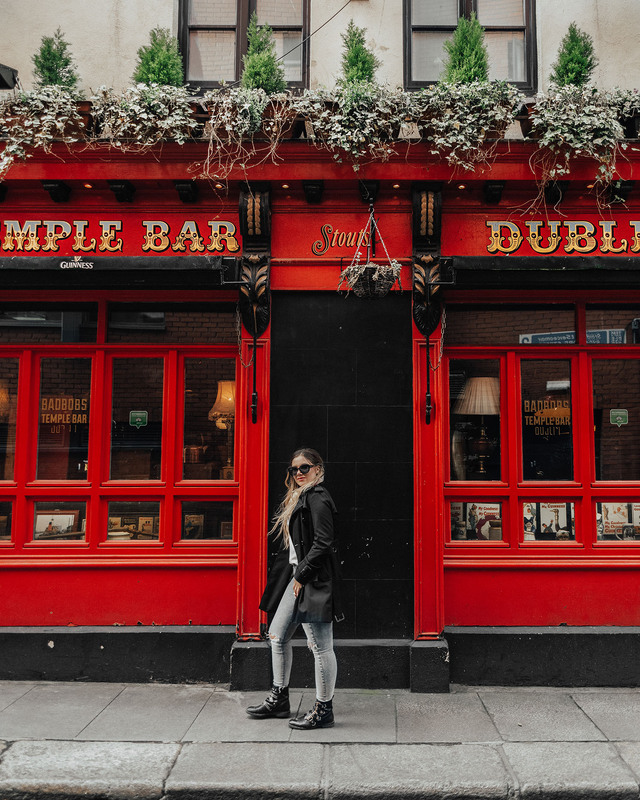 Let’s face it, if you haven’t been to Temple Bar, you haven’t been to Dublin. 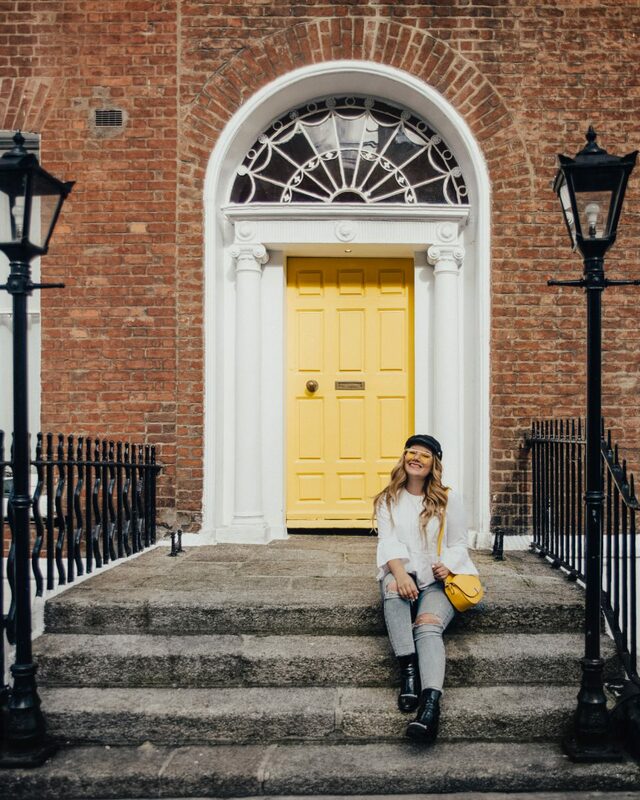 With its cobbled streets and buzzing nightlife scene, busy pubs and live music venues the Temple Bar is a magnet for tourists. As this place is busy 24/7, a great tip is to stroll around and check out the less-crowded side streets in the area. There are so many pretty brightly colored facades with flowers dripping out of window boxes. Okay, this is not a classic must-see. YET. And it’s actually a little bit outside of Dublin. But couldn’t this be one of the prettiest views you’ve ever seen!? 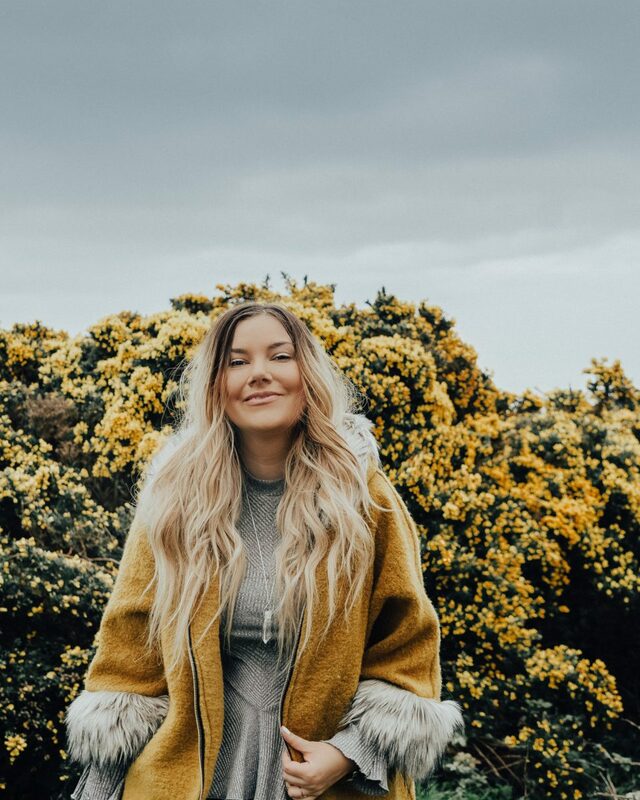 Dublin’s coastline is gorgeous, and it’s so worth to visit Dublin’s coastal villages for both a breath of fresh air, a refreshing contrast to the city life and for lots of very Instagrammable backdrops. 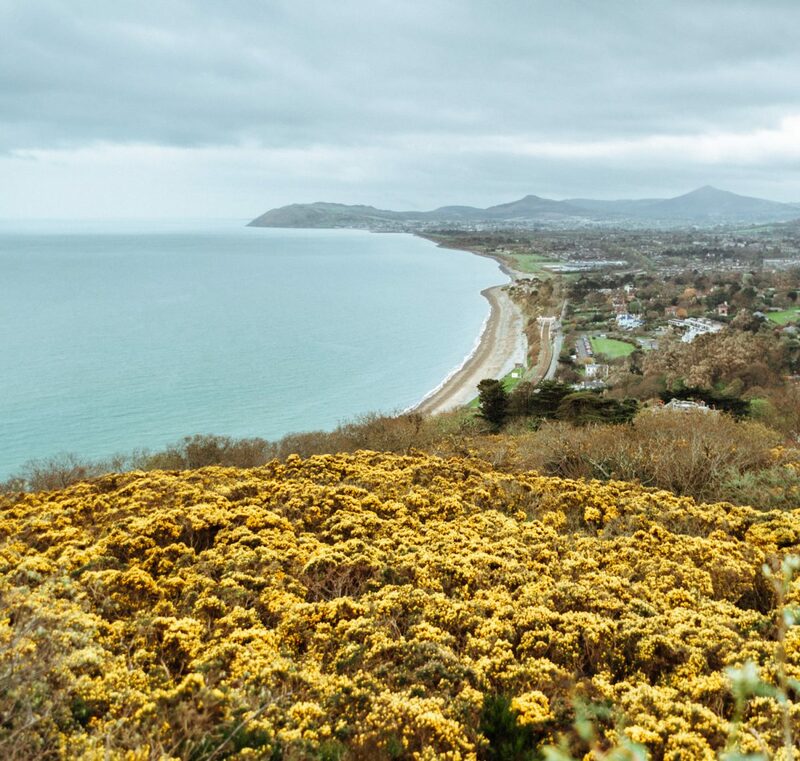 Killiney Hill is only half an hour from Dublin. 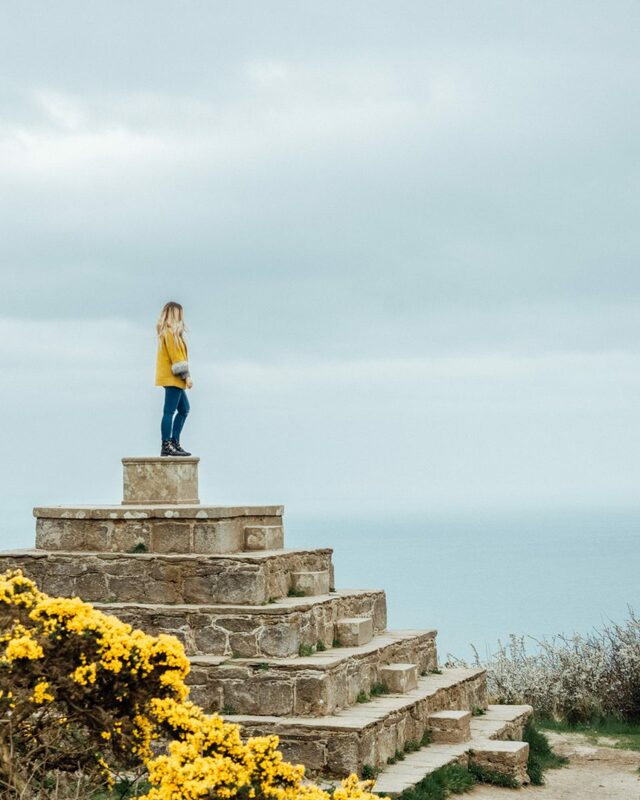 We drove to this place and took a short walk from the parking lot, but you can also take a 24-minute DART train from Dublin to Dalkey and opt for a walk up to Killiney Hill. 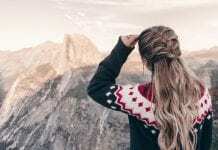 You will be rewarded by gorgeous views over the surrounding areas: from Dublin and the Irish Sea to the mountains of Wales (on a clear day) to the Bray Head and the Wicklow Mountains. 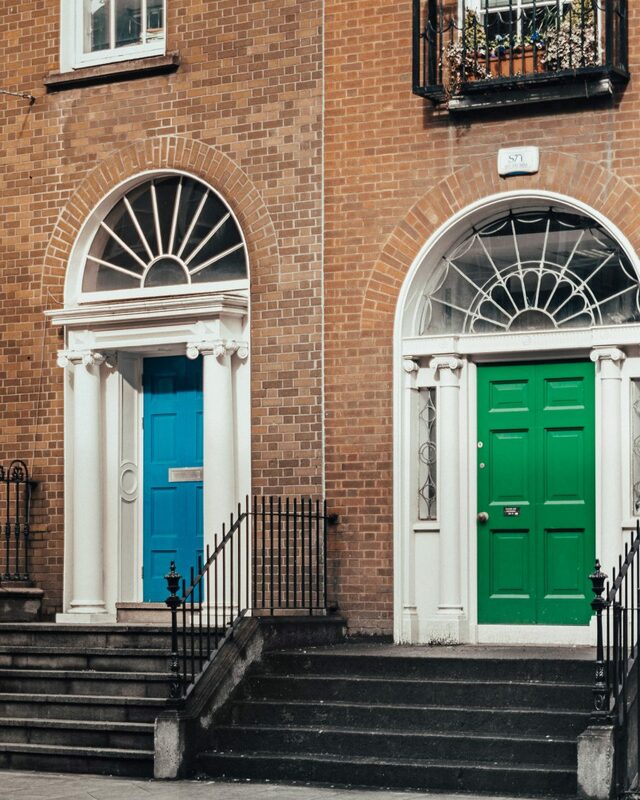 If you love colorful doors, you will be in heaven in Dublin. There are so many beautiful doors in all colors you can think of. 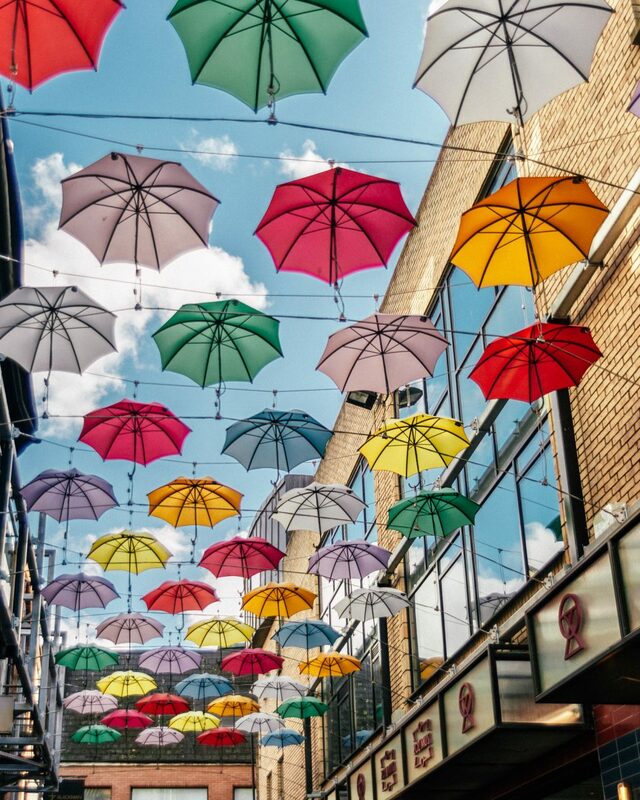 You’ll find the prettiest in Dublin’s Georgian Quarter. 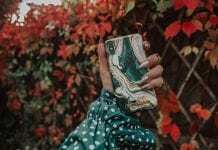 Just pick a door that matches your outfit, mood or Instagram feed. Another classic must-see in Dublin is Saint Patrick’s Cathedral. Built in the 12th century on the site of an earlier church that had stood here since the 5th century, this magnificent cathedral is both steeped in history and an impressive gothic sight. 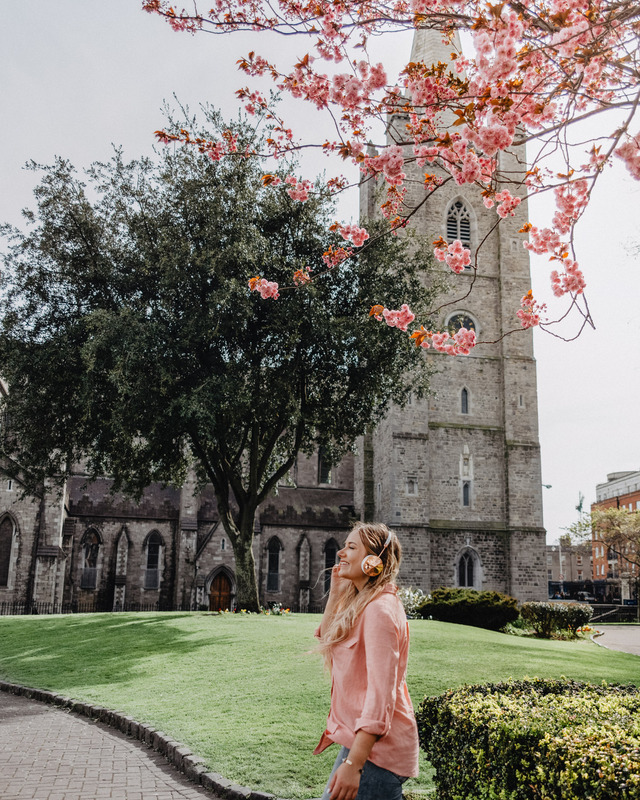 Add that the cathedral is surrounded by a green park with lots of flowers and pretty trees and you can easily snap gorgeous Dublin photos here. Oh deer, how cute? 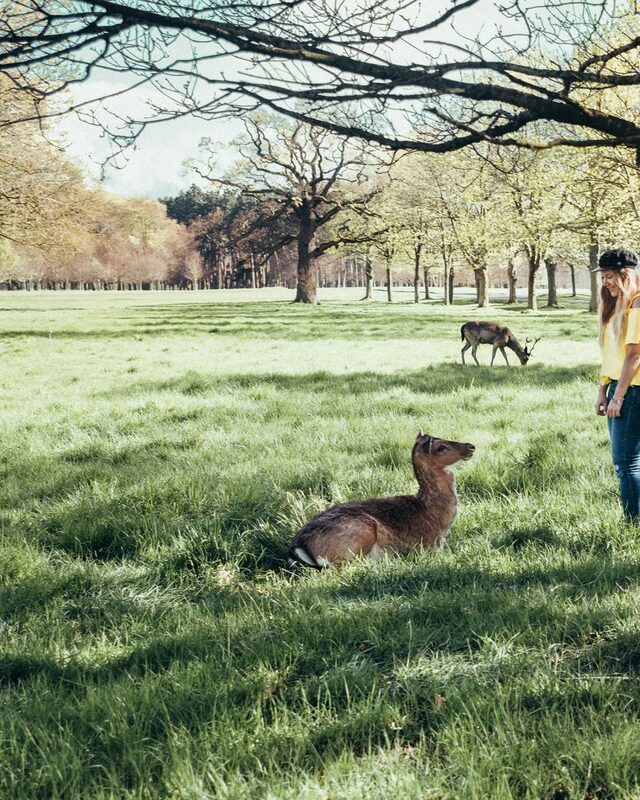 Phoenix Park (also known as Bambi Park) is the largest urban park in Europe. It’s such a lovely escape with hundreds of wild fallow deer and impossible green views. Many places look like a Windows desktop background. What’s good to know before you go here is that the park is vast, there are no public toilets or place to buy water – unless you count the café (that was closed when we were there). The hop-on-hop-off bus stop is at the beginning of the park so you will have to walk a while into the park for a good chance to spot the wild deer. 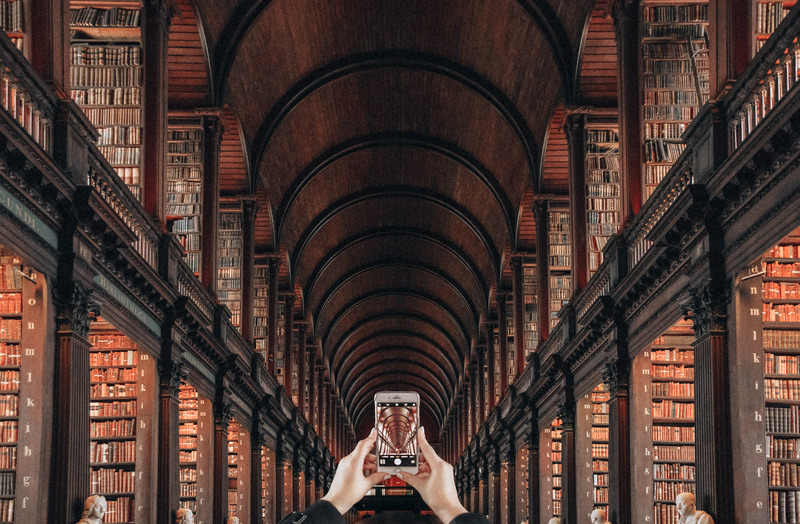 But this is definitely one of the best Instagram places in Dublin! 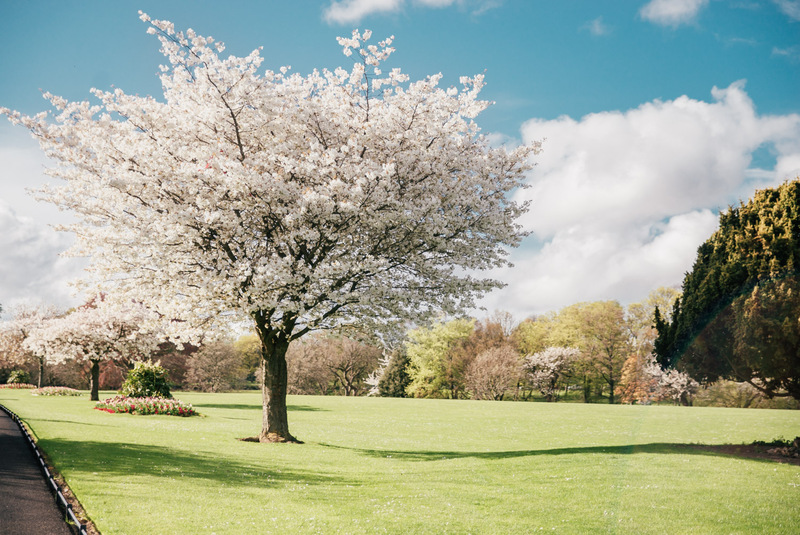 The green park is a lovely nature escape and such an unreal contrast to the lively city life. 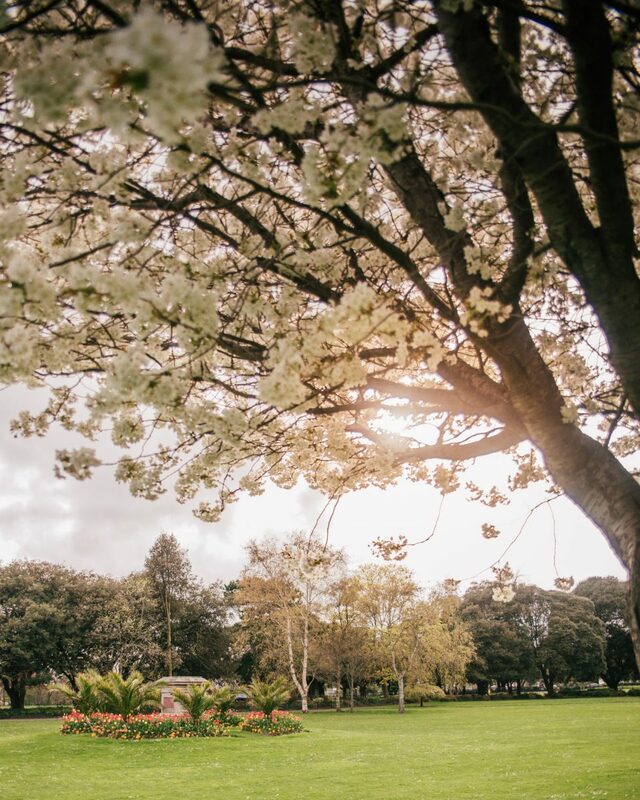 Unlike the St. Stephen’s Green Park in the city center, it’s easy to have lots of nature just to yourself in Phoenix Park. 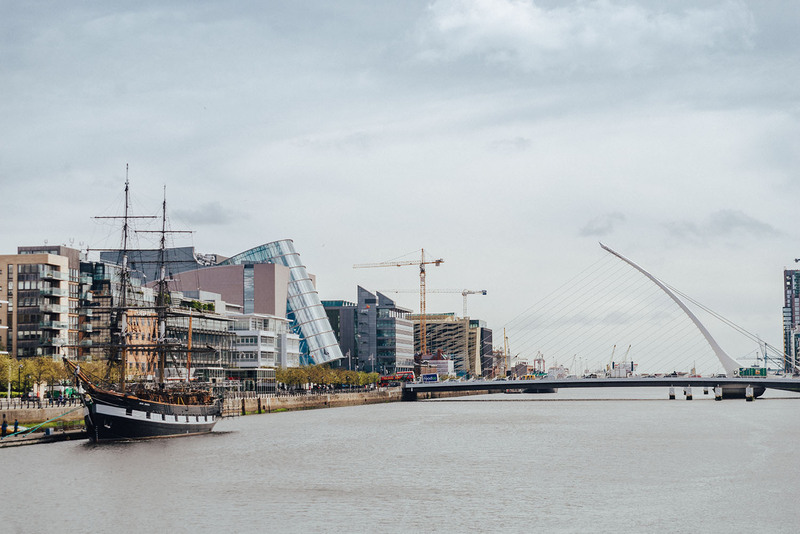 Dublin lies on the River Liffey and has many bridges that span the river. 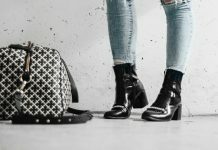 Each with its own history and style. One of the prettiest is The Samuel Beckett Bridge. 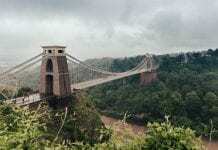 The bridge is designed to look like a Celtic harp, a national symbol associated with Ireland for centuries. And it sure is impressive! 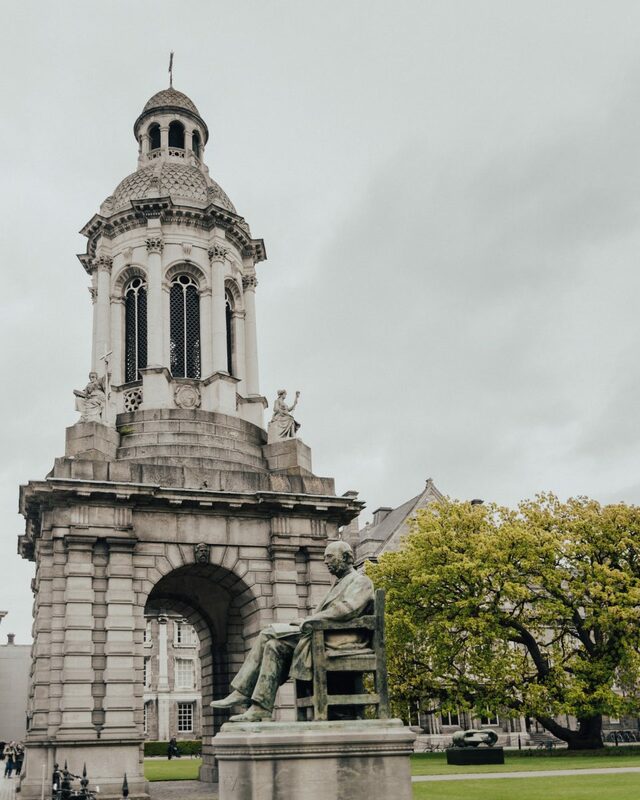 To take a photo like mine above, you can head to the nearby Sean O’Casey Bridge bridge, but you also have great photo opportunities up close to this photogenic landmark in Dublin. 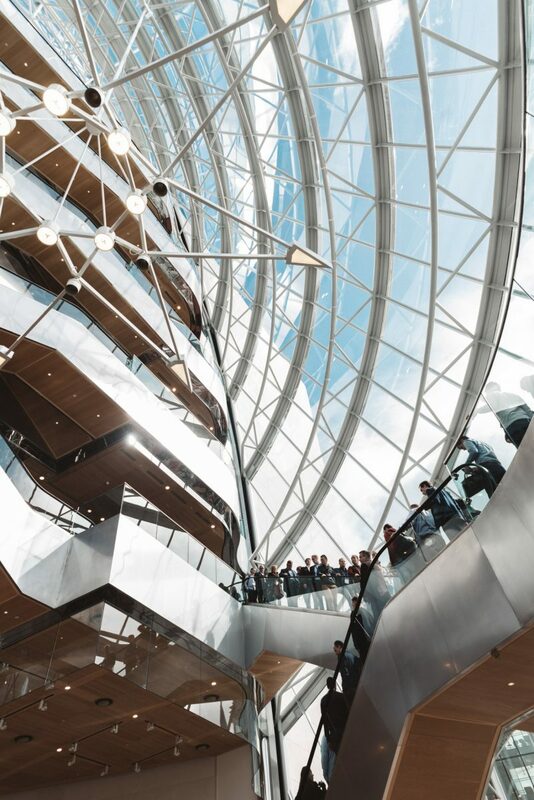 Did you spot the curved classy atrium building on the photo by Samuel Beckett Bridge? Just next to the bridge is Dublin’s National Conference Centre. 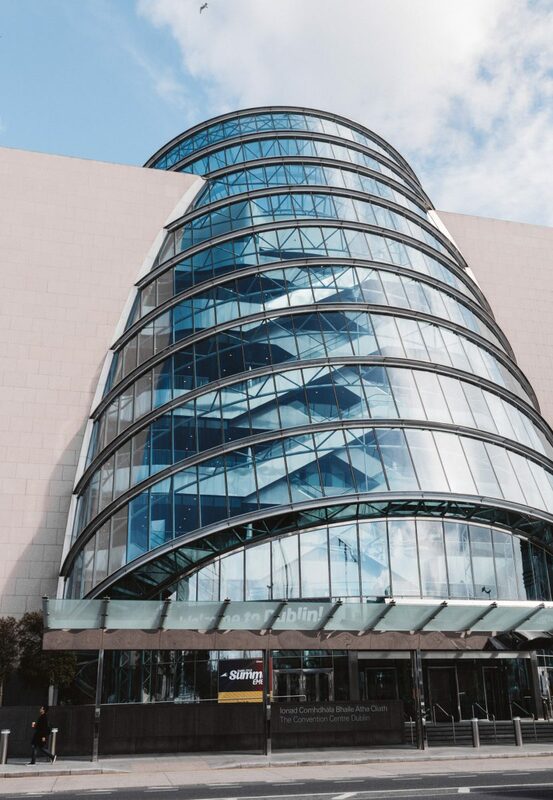 I adore impressive and cool buildings, and this is definitely one of the most impressive modern buildings in Dublin. If you go to this Instagram spot, don’t miss to step inside and gaze up to the sky. You’ve probably seen this view before. 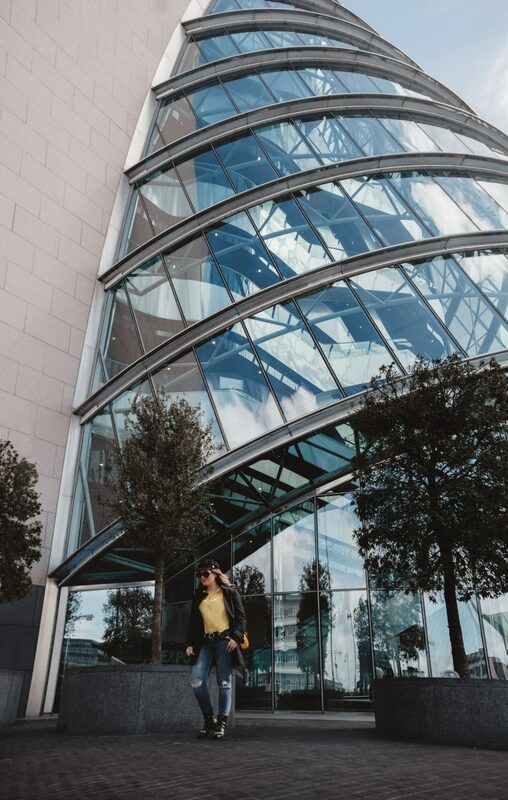 This is one of the most famous photo spots in Dublin. 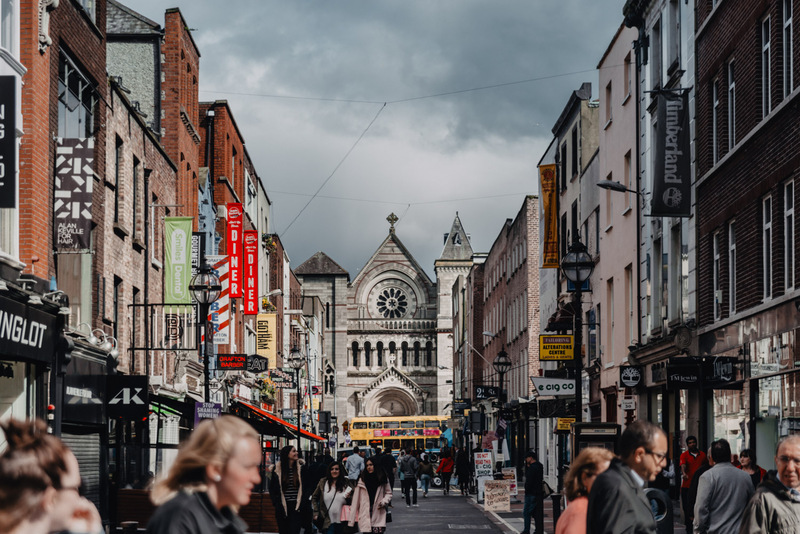 Grafton Street (with St. Ann’s Church in the background) is often of the cover of tourist brochures and travel guides to Dublin. This is also a perfect place for fun Instagram stories. It’s colorful, vibrant and just buzzing with life and tunes from street musicians. 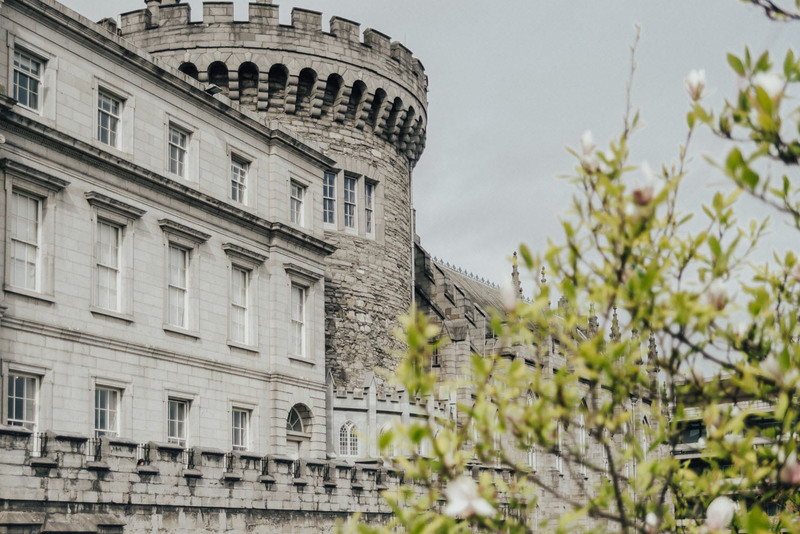 If you’re looking for a castle in a traditional sense, Dublin’s Castle will not blow you away. But it should still be on every tourist’s agenda as it is one of the most important buildings in Irish history. There’s also a great photo spot behind the castle on the bridge (just where a huge part of the structure is painted in bright lego-like colors). 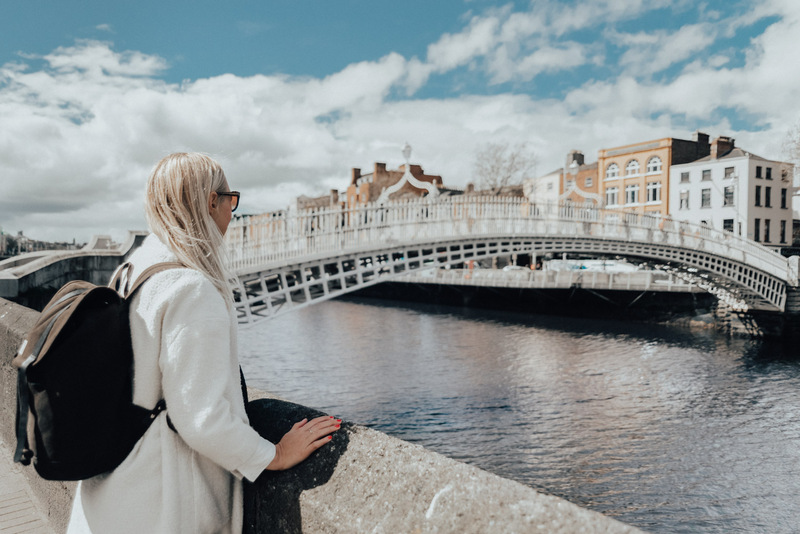 Another picturesque place in Dublin is the beautiful white Ha’penny bridge over River Liffey. If you have the time, you should head to this bridge with a tripod during night time and get an epic Dublin shot when the bridge is lit up. It looks so romantic! As you might know, I love colorful umbrellas. I found this picturesque place on Instagram and knew I just had to go here for a photo. 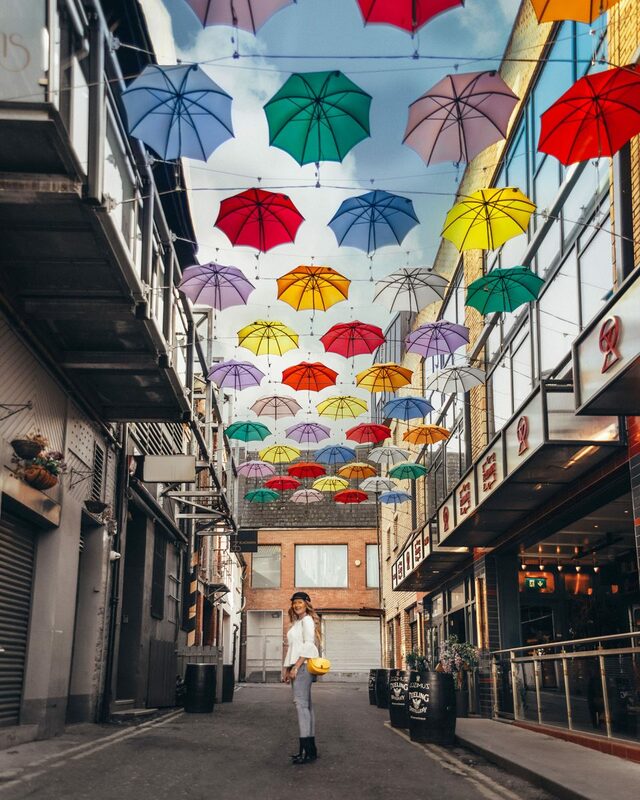 Dublin’s colorful display of umbrellas is on a little side street in the city center (Anne’s Lane) and belongs to Zozimus Bar. 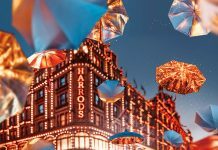 I don’t know the umbrellas always are up, but a tip is to search for Zozimus Bar on Instagram before you go, and see when the latest umbrella photos were taken. 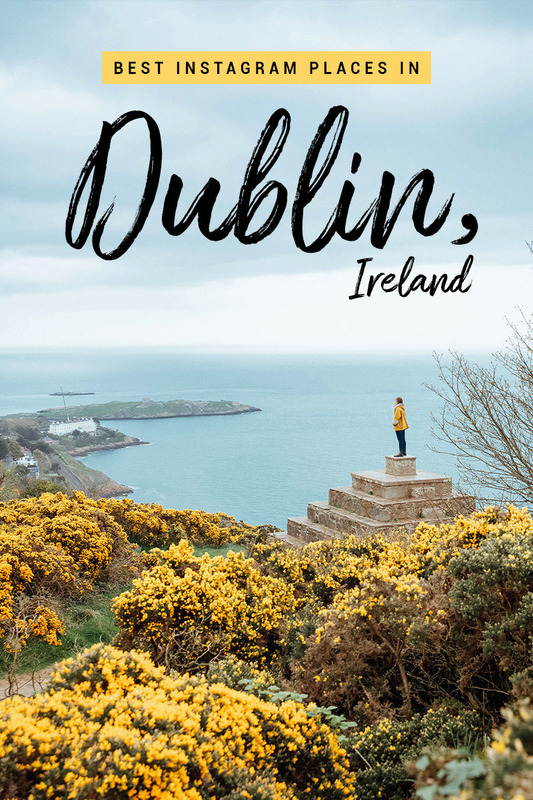 As Dublin is a city by the sea, checking out the wonderful coastal villages and Dublin Bay should be on everyone’s itinerary. 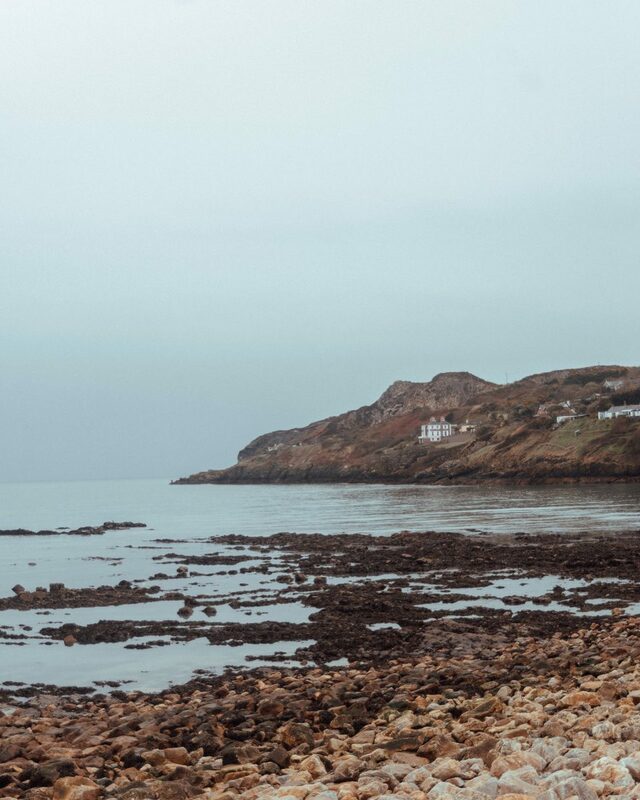 Just a 28-minute DART ride from Dublin lies the fishing village of Howth, home to scenic cliff walks (see Howth Head Summit on Instagram! ), great seafood restaurants, and a castle. 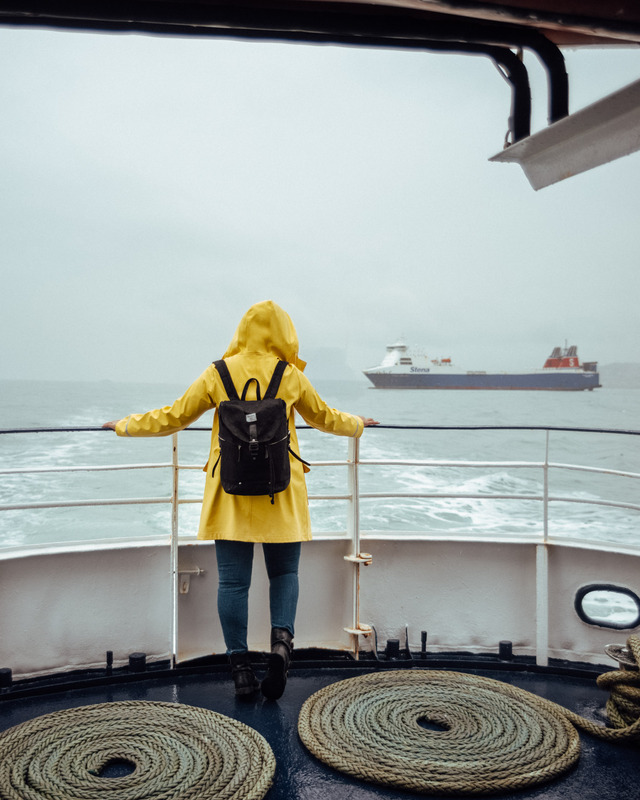 After our visit to Killiney Hill (and after warming up with some tea and scones in a local café), we took a boat trip to Howth with Dublin Bay Cruises. It was raining, cold and moody. 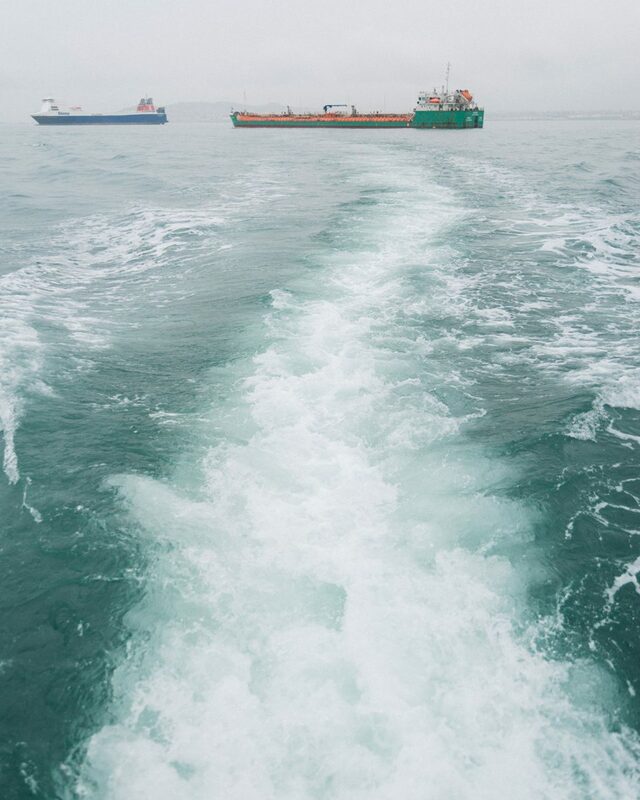 Not at all the weather, you would wish to have when visiting Howth. But it was so magically peaceful. 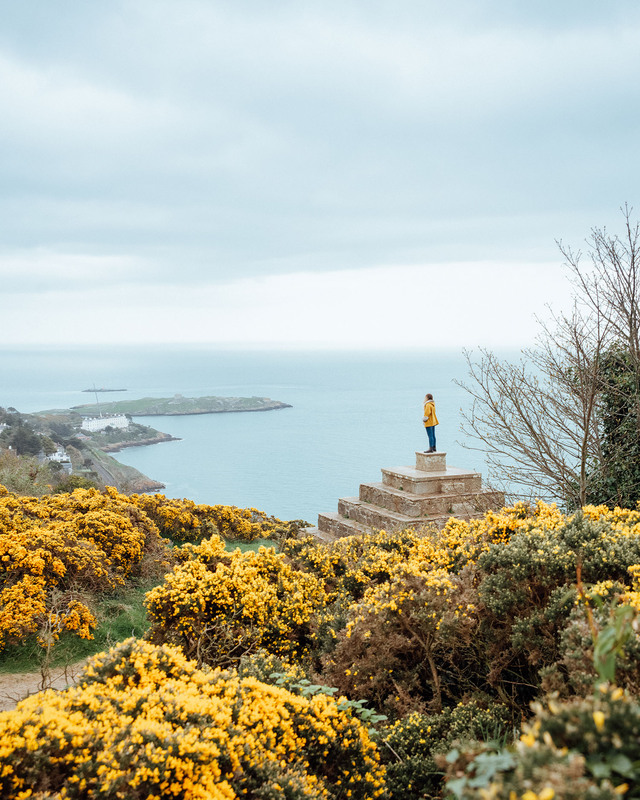 The icy turquoise water is incredibly picturesque, and Howth itself is such a cute coastal town to spend some time in – no matter what kind of weather it is. 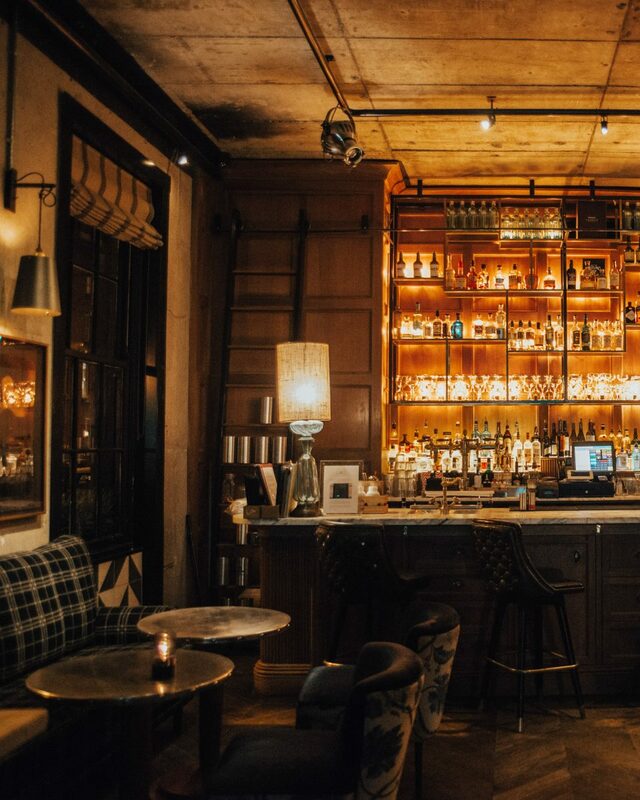 After taking photos and exploring, head for some lunch and hot Irish whiskey at the traditional Abbey Tavern. 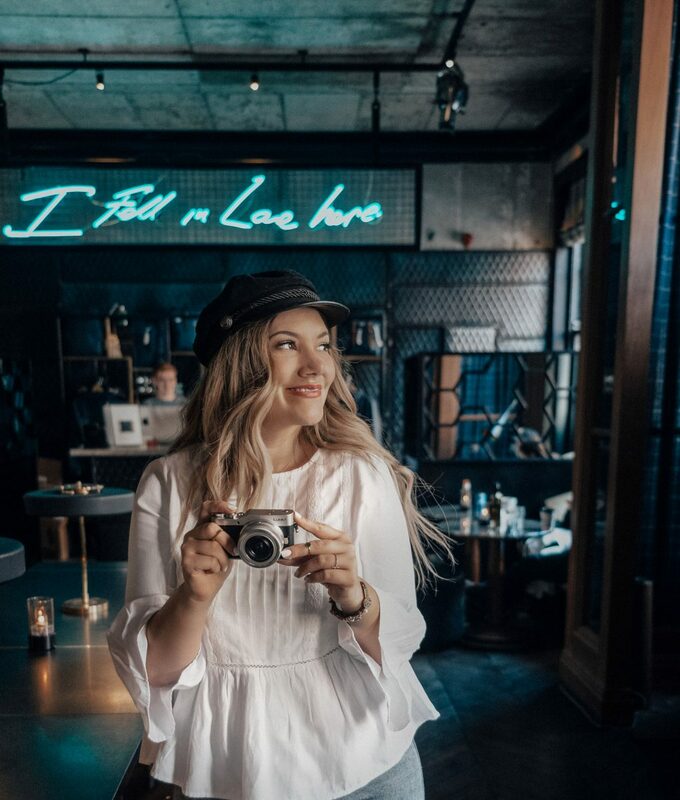 One of the most Instagrammable hotels in Dublin is definitely Dean Dublin. 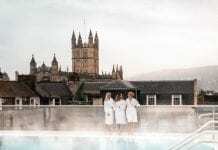 It’s located in the heart of the city, surrounded by bars and clubs. 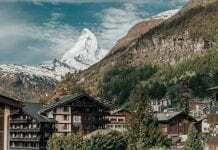 If you don’t mind the lively street noise, however, this is an excellent place to stay. The personal and rustic interior is so photogenic! 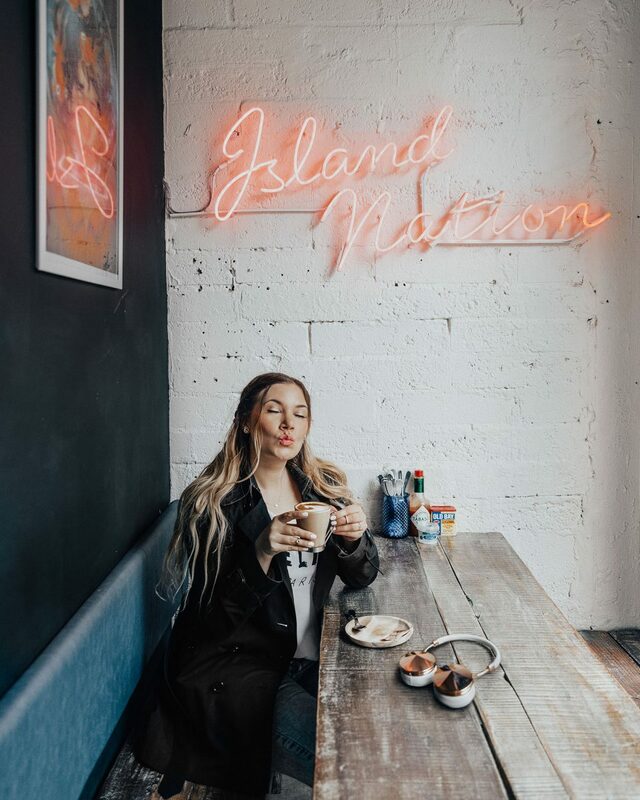 The eye-catching neon sign, vintage items, upstairs swing, rooftop terrace with an open fireplace and breakfast views are all goals. The prettiest café in Dublin? Wooden tables, a cute neon sign, pretty porcelain and good-looking food. 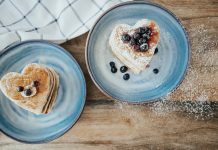 If you love seafood, you can’t miss visiting Klaw The Seafood Cafe. First of all, the food is INCREDIBLE (these guys know what they are doing)! Second, the tiny place is so cozy and Instagram friendly. 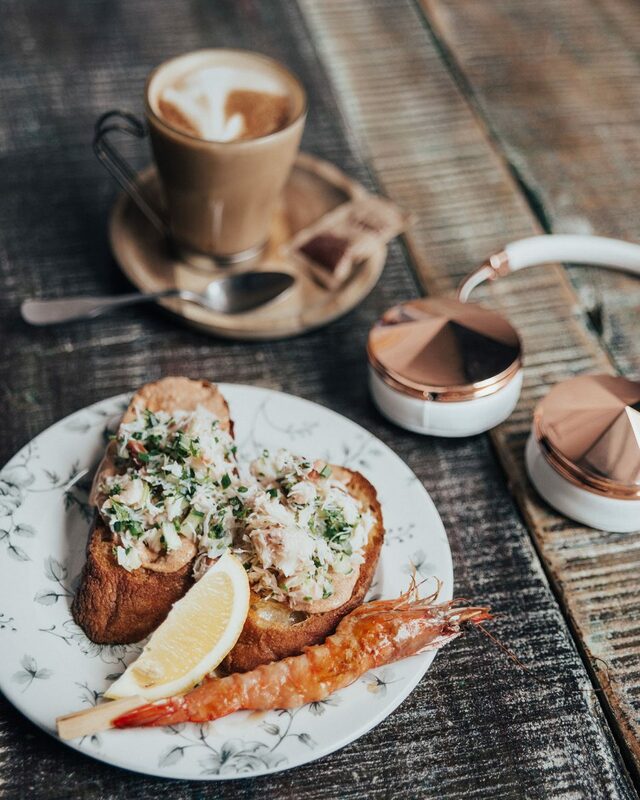 It makes it easy to enjoy a lunch or coffee break and at the same time snap some shots for the gram. 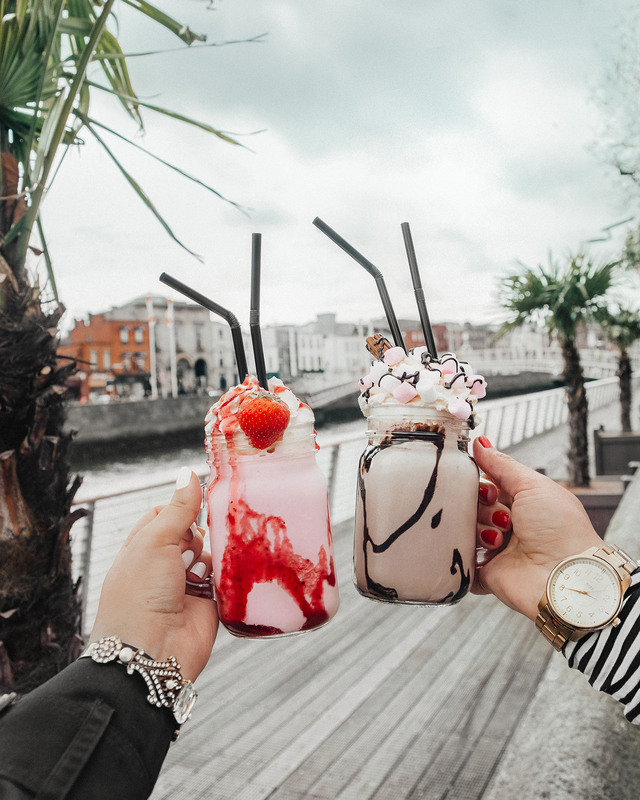 Located just by River Liffey is a café that serves probably the most Instagrammable milkshakes in Dublin. Just look at our impressive shakes! 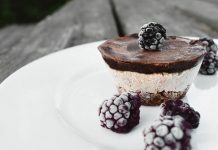 The café is called The Sweetest Thing, and it’s the perfect place to stop by for ice cream, a coffee break or sandwich. 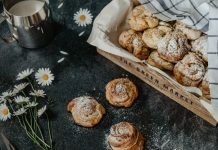 The friendly and personalized service is also great! Towe and I just asked if they could make a pretty strawberry and chocolate shake. And they were more than happy to. We walked across the street to take this photo just by Ha’Penny’s bridge. But the café itself is also charming and a great place to escape the rain or rest your feet for a while. 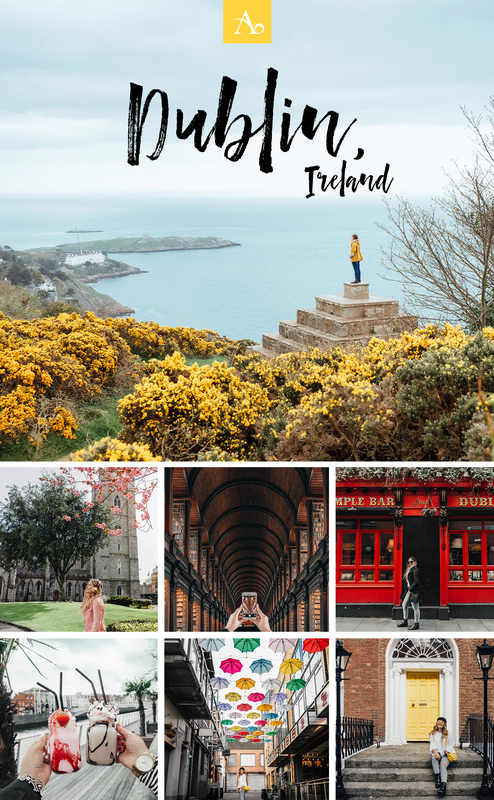 Disclaimer: I visited Dublin on a press trip organized by Tourism Ireland. As always, all opinions are my own.